What a fantastic turnout for our Trikathon and picnic tea, helped by the warm sunny evening. 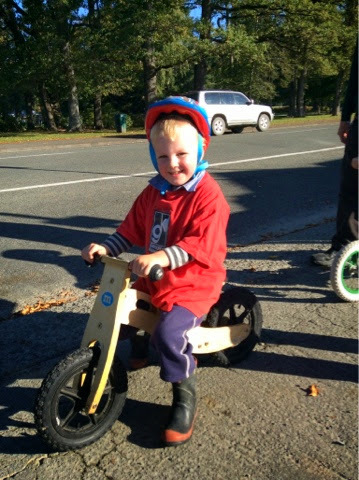 The children and parents were enthusiastic participants. 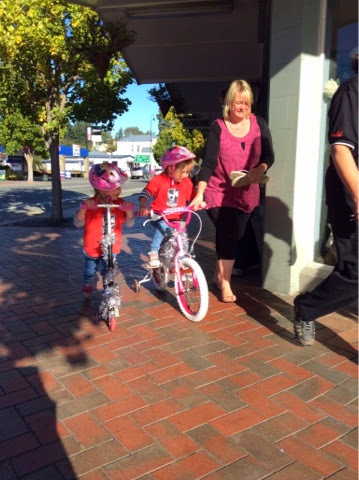 Opportunities to get together with famlies/whanau are a valuable way to develop and maintain Relationships/Nga Hongonga and etablish a sense of Mana Whenua/Belonging. And it is good for children to see adults having fun too! 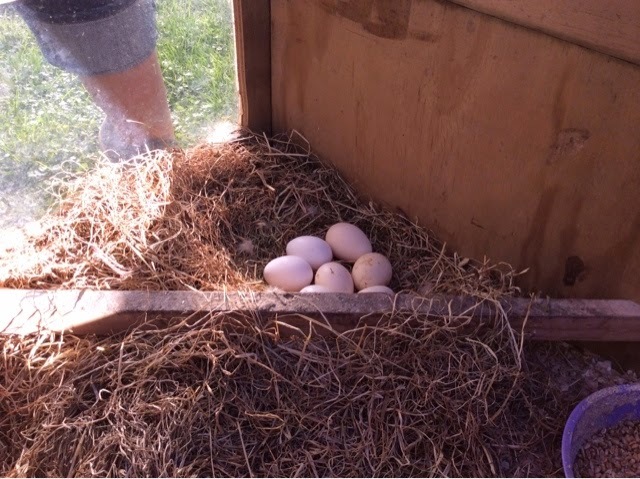 Brownie has gone clucky, Ashleigh went to the Taylors and collected some fertile eggs. 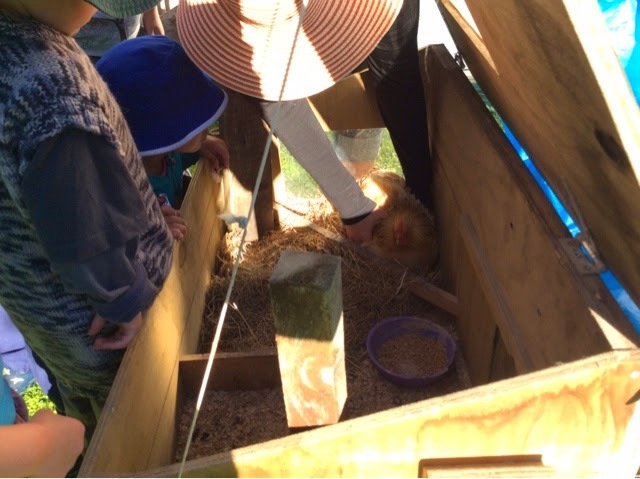 At Kohtahitanga time we discussed how Brownie has persevered had managed her impulsivity, then we read a story about a sitting hen/ hei hei, and not getting off the nest, (except to have a drink,a peck of wheat and to go to the toilet). 21 days to wait, perfect for easter, it is a long time for for a hen to sit and even longer for children to wait. An hour after the eggs had been placed under Brownie, Baxter, Murphey and James were looking in the viewing window to see if the "babies had been born", "James said "oh she's so cute", Tena koe mo to awhi, thank you for your help. We will enjoy marking the days off on the calendar. Horsing around in the morning and the afternoon. 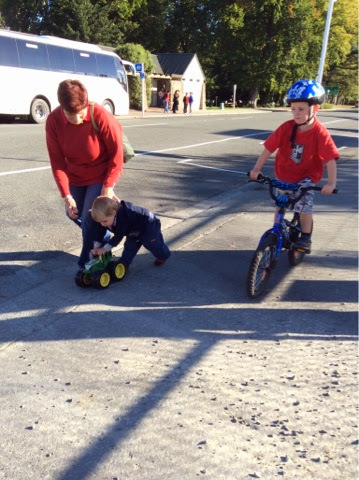 Sometimes simple things can be the catalyst that lead to other activities and interactions developing. 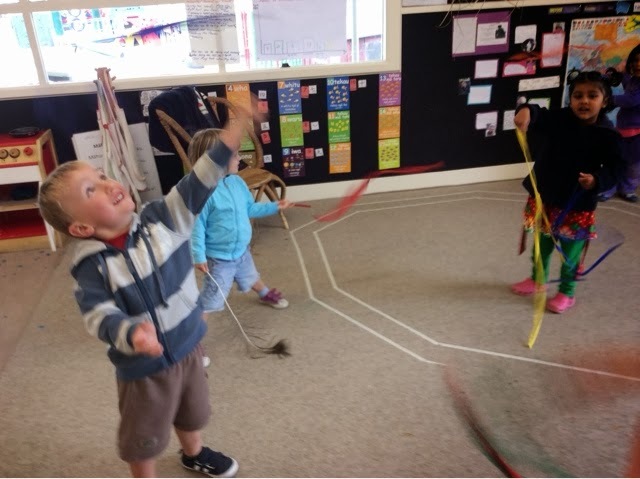 This morrning a group of children enjoyed using basic props- the 'horse' a wand, crown, and sword to support them as the characters in "there was a Princess Long Ago". This old and to many, boring,song seems to appeal children. We know that repetition is beneficial in helping to develop reading skills through knowledge and familiarity around sound/phonics, pattern and rhyme. Turn taking, listening for cues and following the 'rules' are also important for everyone to be able to participate and enjoy the game. Holding a sword and cutting down trees, then holding a princess by the hand is incredibly empowering, just as being part of a large group is. 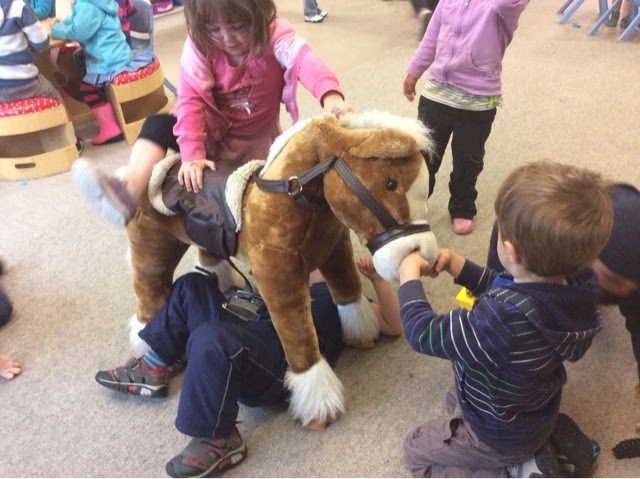 This afternoon Isaac,Grace and Alice noticed the horse had a 'wound' on its neck. So together we decided to fix it. 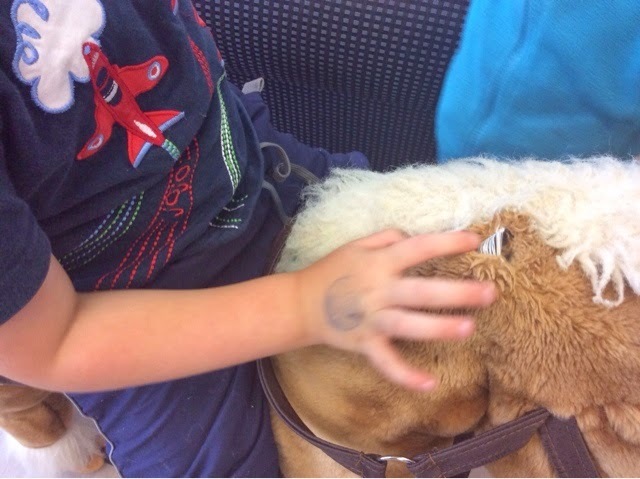 Out came the sewing box, we talked about how a real horse might have a cut seen to by a vet, and using local anaesthetic to stop it hurting as much, because we didn't have any, Alice suggested that we could hold the horse and give it a cuddle then it might not hurt as much. 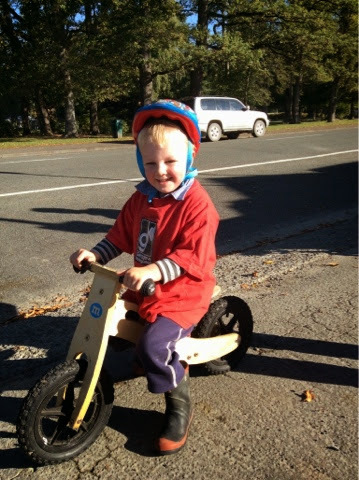 He pai koe ki te whakaaro pena/that's good thinking. Once the sewing box was out, there were more excitig possibilities. 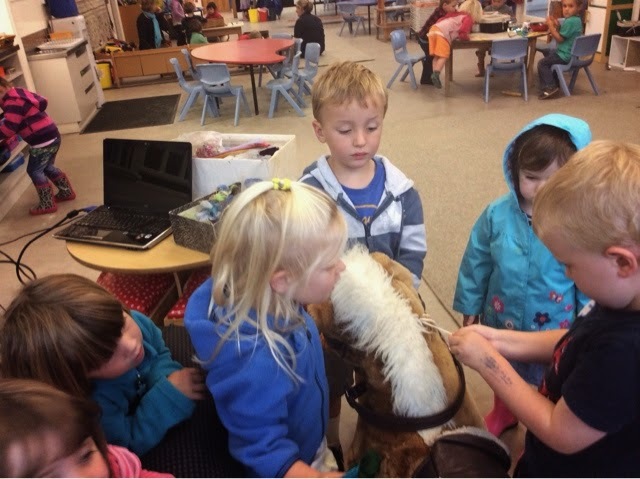 Sewing and necklaces, but again the horse took centre stage, the children were problem solving, trying to remove the saddle, working together sharing the spanners, communicating,and thinking flexibly. That's one way to hold it still, by the nostrils. 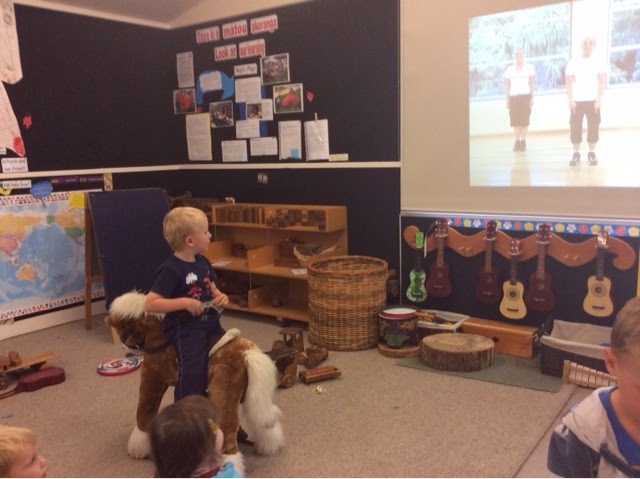 You can sit backwards and join in with jump jam, and you can even have a drink of water on horse back.Tu meke! Awesome. Today as the children played with the rope that was connected to the slide, to pull each other up and down the slide Heather had an idea! 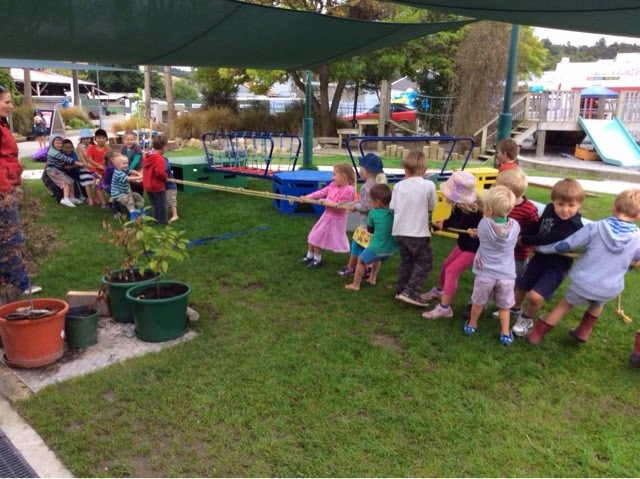 "Lets play tug of war"
"It's where someone pulls the rope from one end and someone else pulls from the other end"
And thats exactly what the children did!
" 3 ...... 2......... 1.......... PULL" and with a lot of energy, smiles and laughter the children pulled until one team had pulled the other team over the middle line! 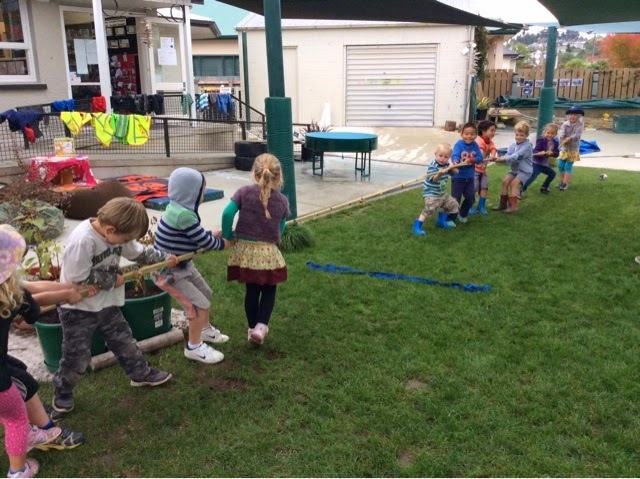 The children quickly learnt that if there was more children on one side then that side would win, we played over and over again with lots of laughter and mahi tahi, working together to try and beat the other team. While having all this fun the children were learning numeracy, through counting the number of children in each team, using there large motor skills as they pulled against the force of the other children, but most of all we were excited to see them running from all over the playground to help the children closest to the rope! 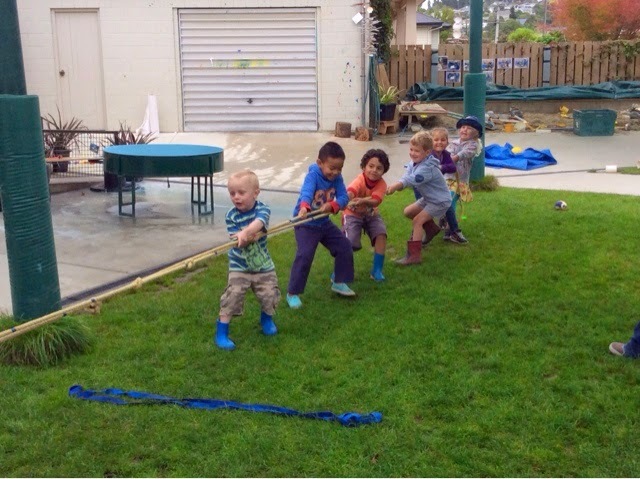 Mahi tahi working together to achieve a common goal, and having heaps of fun doing it! 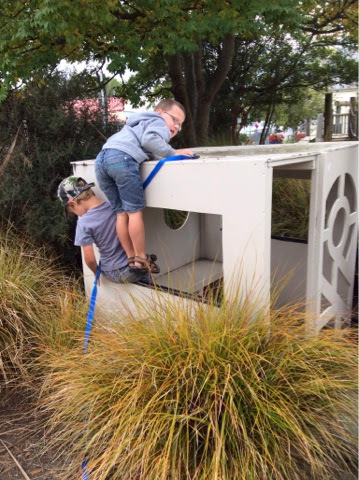 Problem Solving to help a Friend, Mahi tahi, working together. 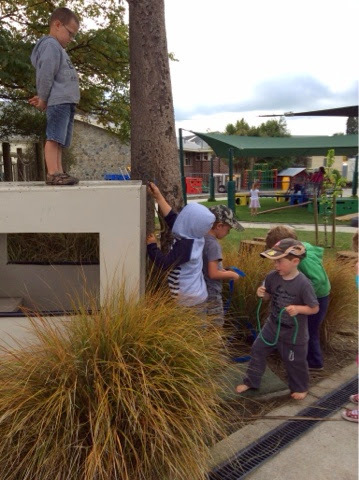 Yesterday Ashleigh and Heather noticed James up on a box, calling out for help from the teachers, but we were encouraging him to do some problem solving to see if he could get down. Portia took it apon herself to problem solve to help James climb down. "Get down from there" George called out to James. "I know, but I don't know how i'm getting up to help" Portia answered to George as she tried to climb up the window to help James out. "I'm going to have a turn" Will said walking over to have a turn climbing up the window. 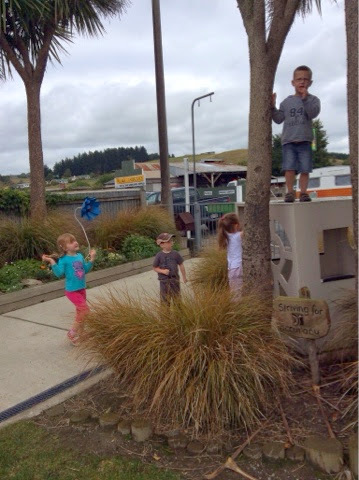 "I've got a good idea, what about if we get a ladder and put the steps just right here" an idea Portia shared with Will. That’s good thinking, he pai koe ki te whakaaro pena. "I'll go get Jed" Portia said and ran off to find him to help. It wasn't long before Portia returned with Jed, who had ropes in his hands to help and work with Porti to get James down from the top of the white box. Together they discussed more plans, most suggested by Jed were some that Portia had already suggested to James, Will and George! 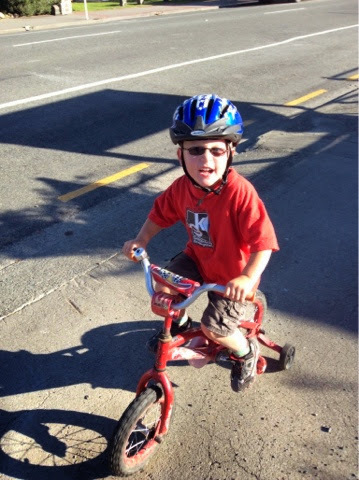 It wasnt long before James had managed to follow Jed from the top of the box to successfully get back onto the ground. The children did a fantastic job working together to help a friend in need. 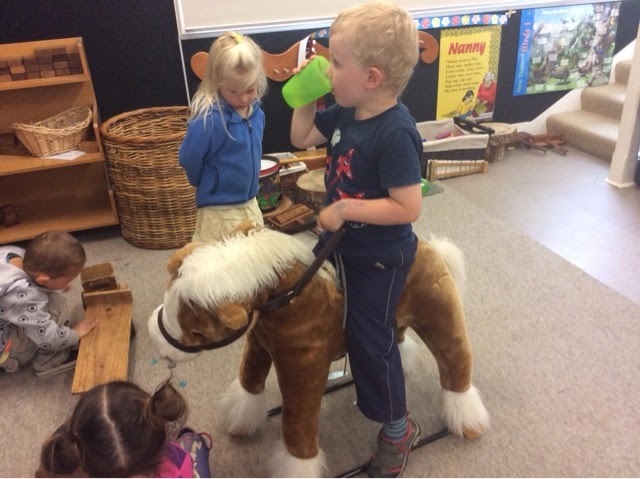 Every term the Home and Kindergarten host a coffee session in the afternoon with the aim for new and old parents to come along and hae a chat. They often invite a guest speaker in realtion to an interest at the time and this term personnel from English as a Second language are going to share the resources they offer. Additionally, we have our own parents who provide support in the community will be attending too. NOW all we need is you to come and enjoy your afternoon. Remember tomorrow in the morning the Hearing and Vision checks are taking place at Kindergarten. So if you signed the permission form then your child will have the check. 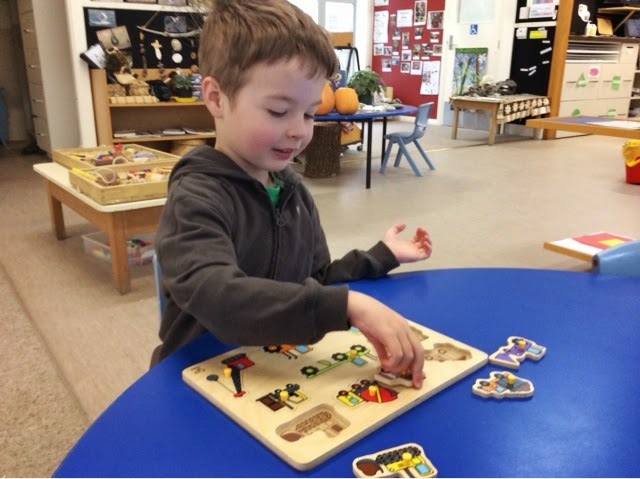 This morning Cormack was completing a puzzle and as he placed each puzzle piece in its correct position he would use his body and the chairs beside him to dramatise the action of each vehicle. 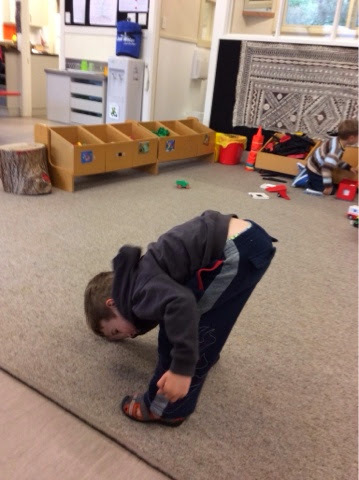 Cormack was thinking in a creative and innovative way as he explored and displayed the different movements of machinery through body movements. Tau kē nei - This is neat! 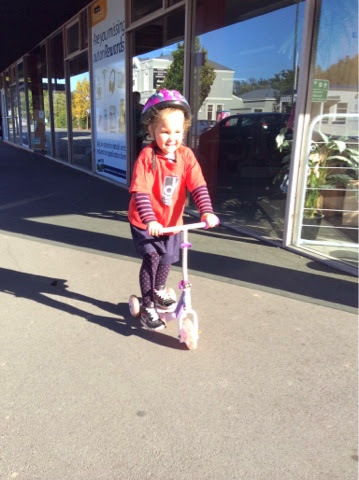 Recently we have had several children transition onto school, and as a result we have had new children join our Kindergarten whānau. 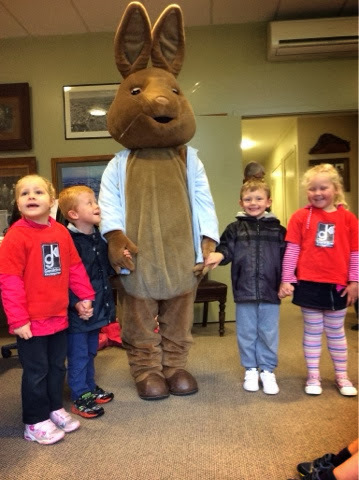 It is so exciting as we see children take on the responsibility, as a carer to look after our new friends. Tobin and Eligh recently started their time in our morning session, and we have seen Riley and Jake taken it upon themselves to support our new friends with settling into session. 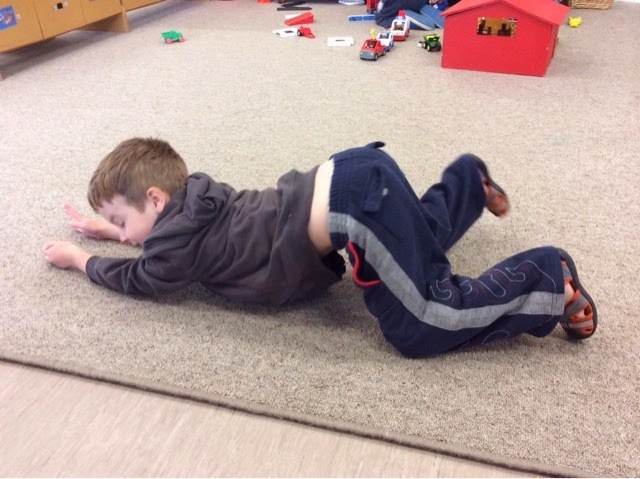 Today Tobin said "I'm spiderman" and lead the direction of play with Jake, Riley and Eligh as they used their imaginations to enhance their play in creative ways. 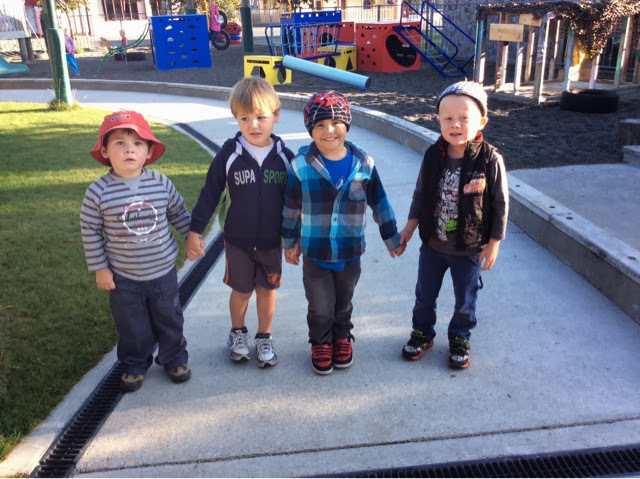 Throughout our mornings together we hear groups of children working together and communicating with clarity and prescision when sharing their thoughts and ideas in play. 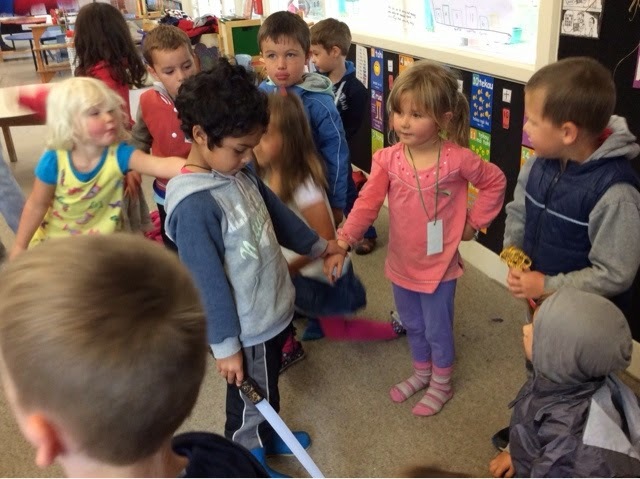 This play supports the development of trusting relationships between peers, allowing for children to reconnect each morning as they walk through our gate. 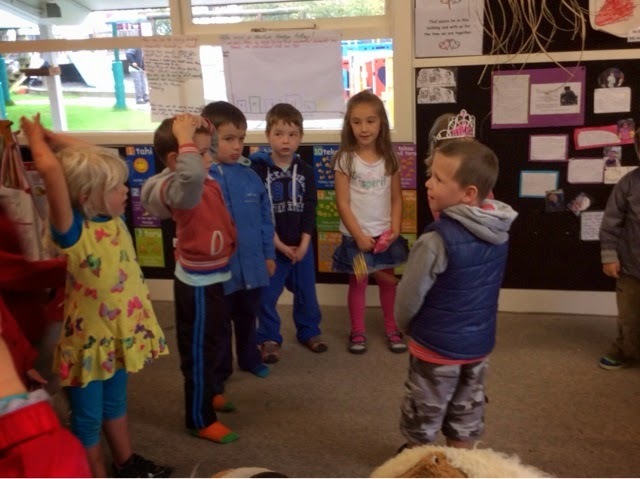 Relationships/whanaungatanga are really important to the children, families and whānau of Geraldine Kindergarten. 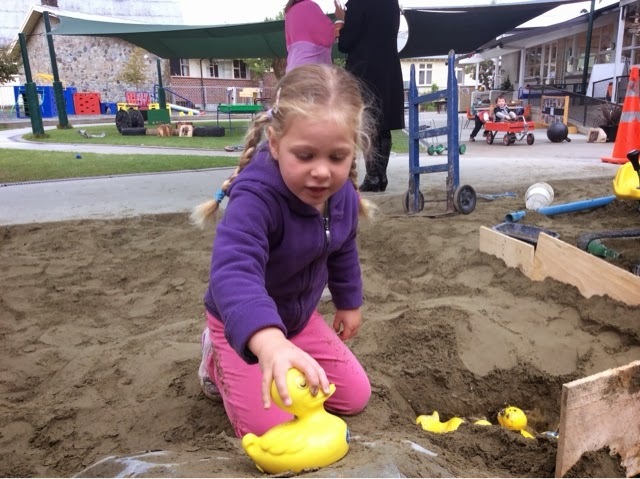 Recently teachers have noticed that since returning to Kindergarten this year all of the children in our afternoon session are very co-operative in their play together. This was evident in session this afternoon when a small group of children were enjoying dancing to some music. While using the ribbons everyone was having fun and being creative using their bodies to explore the different types of music. Hanna came along and watched the small group in play and it wasn't long before Ben recognised this and said "Hanna, here" while passing her a spare ribbon that he had. "Thank you" Hanna replied with a big smile on her face. While enjoying exploring the different types of music children were working with and alongside each other. 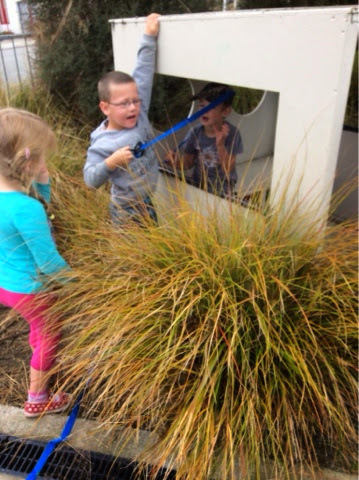 Using the ribbons encouraged the exploration of and a discussion around personal spaces (around themselves and others), and how best to use the ribbons in a caring and respectful way - otherwise known as Manaakitanga. Today we had a great adventure walking to the library in the rain, we tried not to get to wet jumping in puddles but it was very tempting! 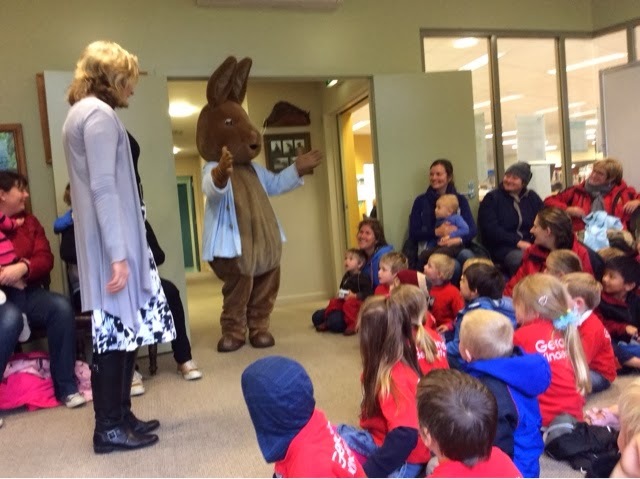 At the library the children were all very excited to sit down and listen to a story about Peter Rabbit. 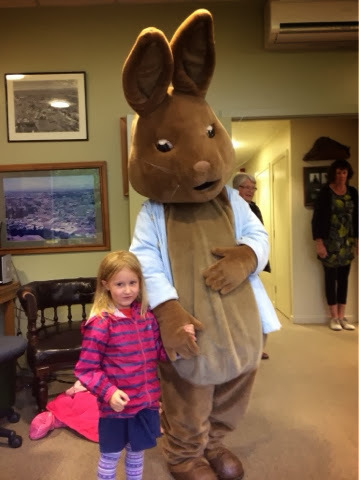 But the next thing we new Peter Rabbit was hopping through the library door into the room we were all sitting in. The children were all very excited and read another story about radishes, they were interested to know if Peter Rabbit was hungry! 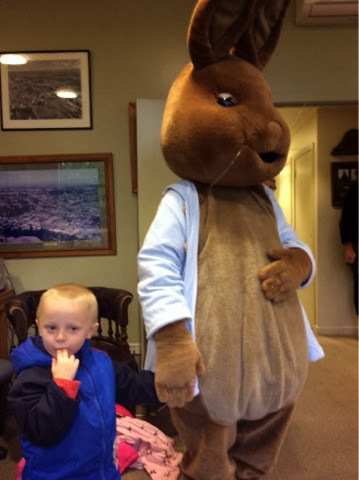 Peter Rabbit told the children he was but it was lucky because there was already a supply of carrots and lettuce there for the Peter to eat! Working theories with sand and water! 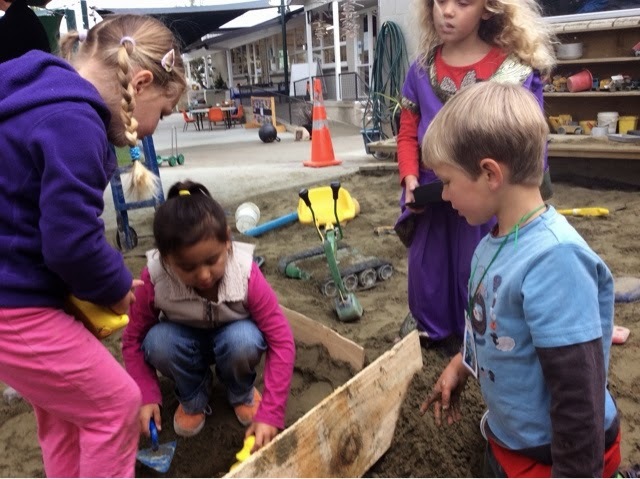 Over the last two days at kindergarten, some of the children made a plan at kotahitanga time to go outside and dig big holes in the sandpit and make bridges. After persevering and working interdependently the children had managed to dig two or three big holes. "Can we have some water?" 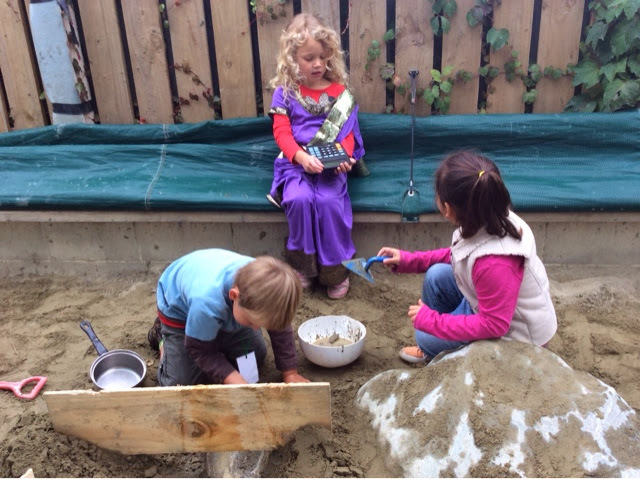 Drew asked with excitement, Heather replied with interest, "Sure but the water trough is being used so how will we get the water to the sandpit?" "The sand melts when the water hits it" because the sand on the sides was falling off. I then asked how much water they were going to put in the hole and they told me they wanted to fill it to the top! "Will it fill to the top or will it run away?" The response was simple "No it will fill to the top because the water just keeps sitting on top of itself!" After filling them all the way to the top Drew's duck had itself a new pond, these working theories have been re explored again today while making 'traps' that people fall into and can't get out of the water, later Drew's duck was found swimming in the traps. Looks as though the pond was great because Drew's duck has found many friends!